In unfortunate business news, Alevo USA, the Charlotte North Carolina makers of GridBank, fell short on funding this month, forcing the battery manufacturer to file Chapter 11 bankruptcy. The Chapter 11 bankruptcy protection filing forced the cash strapped battery maker to lay off 290 employees in its Concord manufacturing facility, a previously used factory of cigarette company Philip Morris. Alevo’s bankruptcy petition cited that the company is holding on to $20 million in debt with assets in the range of $1 million to $10 million. Alevo was founded by a Norwegian entrepreneur, whose goal wass to develop longer lasting, lower cost batteries using breakthroughs in energy storage technology. The company had won a $4 million grant from the Department of Energy’s Advanced Research Projects Agency-Energy program in 2012 in addition to receiving financial background from a high profile Russian Investor Dmitry Ryboloblev. The North Carolina facility was opened in 2014 to much excitement and with the promise of bringing hundreds of energy related jobs to the US. The opening of the 2,100 acre site in Charlotte added over 300 hundred jobs in return for tax incentives from the city. Three years later, only one battery, the size of a 40 foot tractor trailer was produced and installed for a municipal utility in Lewes Delaware. 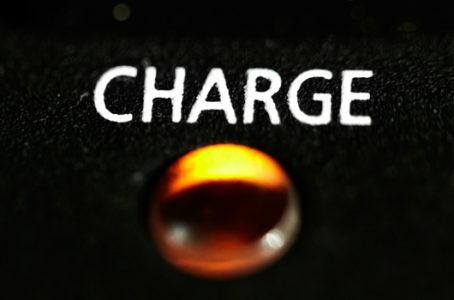 Unfortunately, not even the revolutionary battery technology could keep the company afloat and it filed a Chapter 11 bankruptcy petition with the U.S. Bankruptcy Court for the Middle District of North Carolina, located in Greensboro, NC on Friday. Production issues were cited as leading to insufficient revenue, and adds Alevo to the list of many energy storage startups to run out of cash before achieving a sustainable revenue stream. The company has been quoted as saying that it plans to liquidate its assets following the Chapter 11 bankruptcy filing. Future filings related to the bankruptcy case will most likely give a better insight into the company’s debts and assets.